April 12th, 2010 – Three weeks after the opening of the first Vacheron Constantin boutique in India located in New Delhi, the world’s oldest Haute Horlogerie manufacture with 255 years of uninterrupted history unveils a new exclusive boutique in Riyadh. This boutique is the second in the Middle East after Dubai, and the very first in the Kingdom of Saudi Arabia – located in the heart of Olaya Street, the bustling trade hub of Riyadh. In line with the design aesthetic values of the historical Vacheron Constantin Maison in Geneva, the new boutique offers an exclusive and warm setting with a comforting atmosphere, dedicated to technical and precious Haute Horlogerie. It is adorned to highlight the spectacular architecture and stylish interiors with precious wood, leather and fine furnishings creating an atmosphere of confidence and serenity. For collectors and watch aficionados, the boutique houses a complete timepieces collection as well as a wide range of services including changing a strap or a bracelet, servicing a watch, providing watchmaking advices and information about Vacheron Constantin. 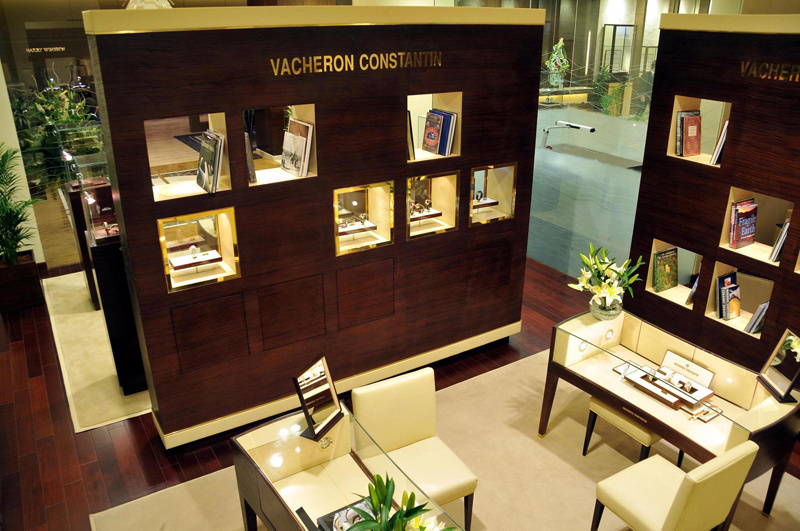 This boutique has been launched in partnership with Al Fardan Jewellery and enjoys the exclusivity of Vacheron Constantin in Riyadh. Mr. Jamil Matar, CEO of Al Fardan Jewellery in KSA said: “At Al Fardan Jewellery, we strive to build enduring relationships and long-term partnerships with the best jewellery and watch brands in the world, thereby offering the widest choice for our consumers in KSA. This has enabled us to establish a fruitful partnership with Vacheron Constantin who has a history of success and over 250 years of distinctive watch making. We have unveiled the new exclusive boutique in Riyadh, and we hope that this boutique is the beginning of a long-term relationship with Vacheron Constantin”. Mr. Yassin Tag, Regional Director for Vacheron Constantin added “We are glad to continue long-term fruitful and respectful relationships with our friends the Al Fardan family for years in Abu Dhabi, Dubai and Doha. The opening of this boutique in Riyadh comes as an important step not only for the long history of our brand in this geographic part of the world, but also for the recognition of the Saudi watch clients as the most demanding and faithful watchmaking connoisseurs”.